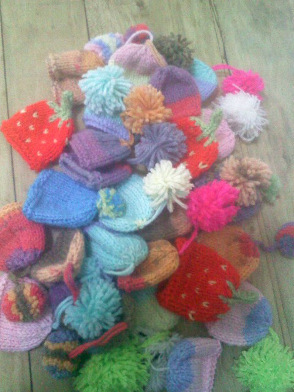 Well done to our knitters especially Sue Aplin, Debra Low and Liz M for donating 27 ‘Innocent’ hats to Age UK. Look out for them in the supermarkets this Christmas. They look so cute!